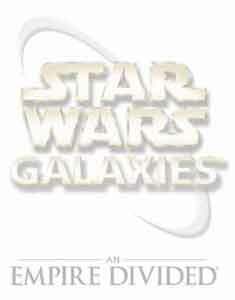 Introducing the first compilation pack in the Star Wars Galaxies series. In addition to An Empire Divided and Jump to Lightspeed, the compilation pack will include an all-new Episode III adventure: Rage of the Wookiees for the Total Experience. Taken directly from Revenge of the Sith, Rage of the Wookiees includes adventures on the planet of Kashyyyk, the Wookiee home world. Experience the all-new combat system featuring new weapons, new armor, new effects, and a new user-interface to make combat even more engaging and fun!